One block off of the world famous Duval Street for the best in entertainment, night life, restaurants, shopping and more. 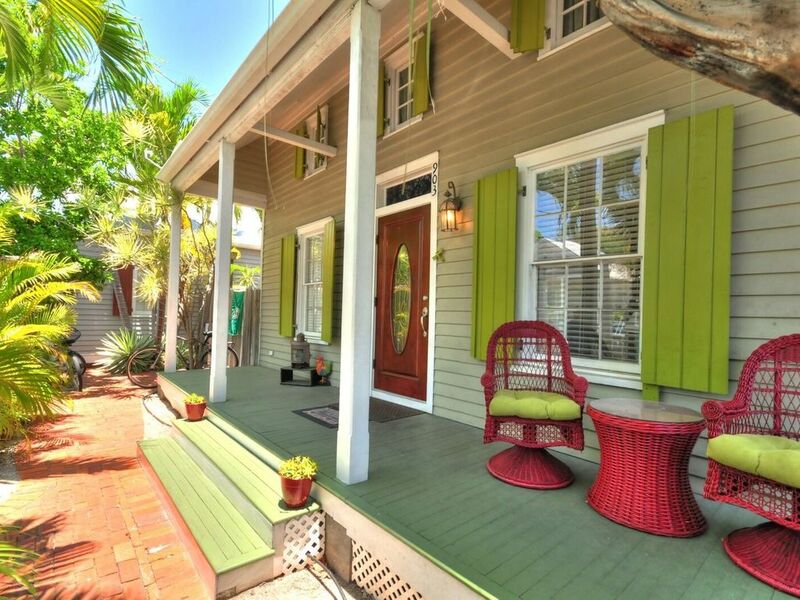 Walking distance to the beach as well as the Sunset celebration at Mallory Square. This fully renovated Old Town Cottage sits in a compound of three homes surrounding a shared tropical pool. Enjoy hi speed wireless, flat screen TVs, luxury Kitchen and more. * This property can only be rented in 28 day minimum blocks. Please only inquire about monthly rentals 28 days or more. Very nice! Had an awesome time! Would rent again in a heart beat! She responded to questions within minutes....very nice....thank you Payola for renting your lovely house to us! Very comfortable and the location is perfect. Had a wonderful time and will be back! Enjoyed our sixth year as much as the first. Always a pleasure to be back at 903. Paola took care of our needs quickly. Can't wait to be back next year. The house was perfect. Great location. The owners were very responsive. Couldn't ask for better. We really loved this place. Its was very close to everything. The neighbors were the greatest. They treated us very good. The house was very nice and the pool was great. Paola was the greatest. She was always available when needed. Will definitely be back. The minimum stay for this property is 28 days.